After defeat in the Crimean War, Russia recognized the urgent need to overhaul its artillery. The creation of smokeless gunpowder by a group of academics under Dmitry Mendeleyev paved the way for the development of Russia’s first rifled field gun. In just two decades during the second half of the 19th century, the artillery technology of the great powers leapt forward in its development as much as it had over the preceding 300 years. Having hit its peak in the first half of the last century, the era of smooth-bored artillery had finally run its course. Due to the prevalent principles of design and construction it was impossible to further improve upon the main tactical and technical specifications: firing range, accuracy and rate of fire. The solution to this impasse had actually been devised in the 17th century with the crafting of extremely expensive and intricate weapons that caused rounds to spin during flight. Any shell that had a more stable trajectory had considerable advantages in both range and accuracy. New vistas for development then opened up with the Industrial Revolution of the 19th century and the switch to machine production, the use of new instruments and lathes and advanced construction materials. By the mid-19th century, the merits of rifled firearms were indisputable. Prussia’s extensive use of new breech-loading rifled Krupp cannons to crush the forces of the Austrian Empire in the Austro-Prussian War of 1866 demonstrated the burgeoning role of machine-tooled artillery. Meanwhile, the Russian Empire had been confronted by the need for a comprehensive overhaul of its artillery after defeat in the Crimean War of 1853-56. 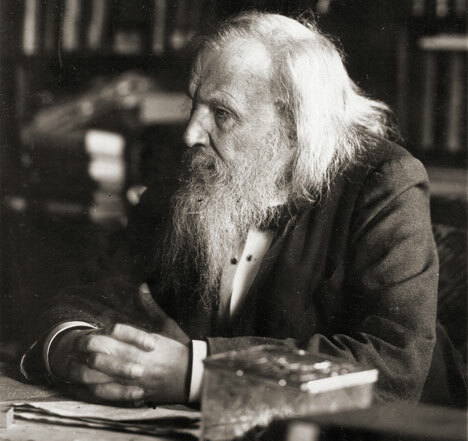 Thanks to the combined work of eminent Russian mathematician Pafnutiy Chebyshev, professor of metallurgy at the Mikhailovsk Artillery Academy Dmitry Chernov, engineer Pavel Obukhov and the great Russian chemist Dmitry Mendeleyev, who teamed up to work on the development of smokeless gunpowder, Russia was one of the first countries to adopt rifled cannons for field, naval and fortification artillery. In 1860, the four-pound (86.8mm) rifled field gun went into service, having been designed under the supervision of Professor Nikolai Maiyevsky. When loading, a 4.6 kilogram pig iron shell with an elongated form and rows of studs would latch onto the barrel’s six rifling grooves, which caused it to spin upon firing. This cannon doubled the range and accuracy parameters compared with smooth-bored equivalents. But the high cost, complex design and longer loading time demanded further perfection of the weapon and ammunition. Moreover, penetration of gunpowder gasses between the barrel and the shell during firing reduced both accuracy and the lifespan of the barrel. The year 1867 saw the adoption of a new family of rifled weapons incorporating a tapered, prismatic bolt. These were developed by Maiyevsky, artillery engineer Axel Gadolin and other specialists. But such breech-loading rifled weapons were developed only for land forces and use in field, mountain, siege, coastal and fortress-based artillery. The new weapons ensured an effective firing range of 3.5 to 5.5 kilometers, depending on the caliber of the weapon, thereby outperforming smooth-bored artillery by a factor of three. Accuracy results rose ten times and more, also depending on firing distances. The new cannons could now fire not just on whole quadrants of enemy infantry, but also on individual targets. Such improvement in artillery capabilities made it possible to field gun batteries in varying depths along a front, fire from closed positions and generally provide far more flexible manoeuvering of firepower. But although the new 1867 Russian artillery systems were among the most modern in the world, barrels made of bronze and other copper alloys could not ensure the necessary durability and longevity of the weapons, and thus limited the propellant force of the gunpowder in the charge. The army’s constantly rising demands for artillery firepower demanded material of a new generation – steel, and the industrial capacity of the great powers was only just beginning to master steel production. Yury Osokin is an historian and a specialist in the history of Russian foreign policy in the early 20th century.